At Rs 186, BSNL offers unlimited local/STD and roaming calls excluding Mumbai and Delhi, among other benefits, for a validity period of 28 days to its prepaid customers. Amid high competition in the telecom sector, BSNL or Bharat Sanchar Nigam Limited has announced a new recharge plan at Rs 186. 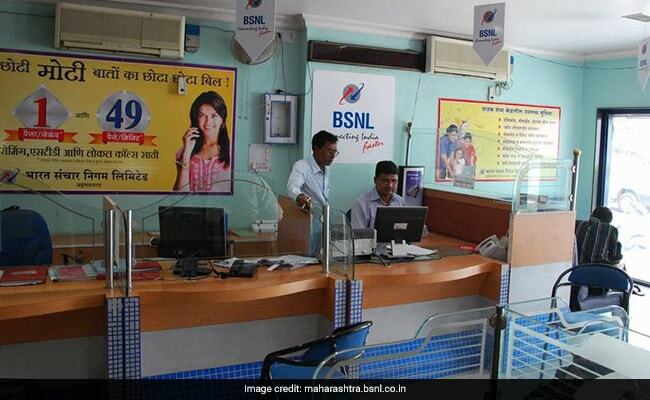 Under a prepaid recharge plan priced at Rs 186, BSNL offers unlimited local/STD and roaming calls excluding Mumbai and Delhi, among other benefits, for a validity period of 28 days, according to BSNL's website - bsnl.co.in. These calls include on-net, which are calls made from BSNL to BSNL, and off-net calls (those made from BSNL to other networks in the country), according to the BSNL website. The Rs 186 recharge plan also includes 1 GB data per day for the entire validity period. That means subscribers get a maximum benefit of 28 GBs (over 28 days) under the Rs 186 pack, called 'Plan 186'. BSNL prepaid customers subscribing to the Plan 186 recharge pack also get 100 free SMS per day for the validity period of 28 days, according to the BSNL website. The Rs 186 recharge pack from BSNL comes at a time the telecom industry is witnessing high competition, especially in terms of mobile data tariffs and free voice calls. BSNL recently revised some of its prepaid recharge packs. BSNL extended the validity period of select prepaid mobile plans by 43 per cent and increased the data offered by 50 per cent. The extra validity and additional data along with unlimited local/STD and roaming voice calls for its prepaid customers was part of a new offer, called 'Happy Offer'. From January 9, Reliance Jio has slashed tariffs by Rs. 50 for select plans and enhanced per day data limit to 1.5 GB (from 1GB) for select plans. For example, now Jio Rs. 149 recharge pack comes with 28 GBs of 4G speed data for a period of 28 days with a daily cap of 1GB data, according to the Jio website.